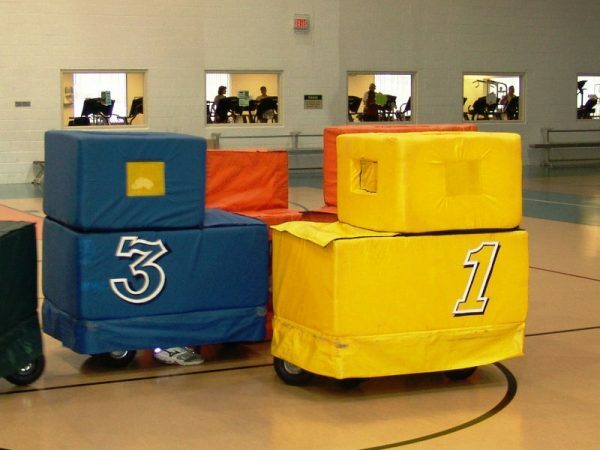 This unique set of brightly colored, foam covered bumper/race cars is great for adults or kids to use on all surfaces. Operated with foot power, much like Fred Flintstone’s car. 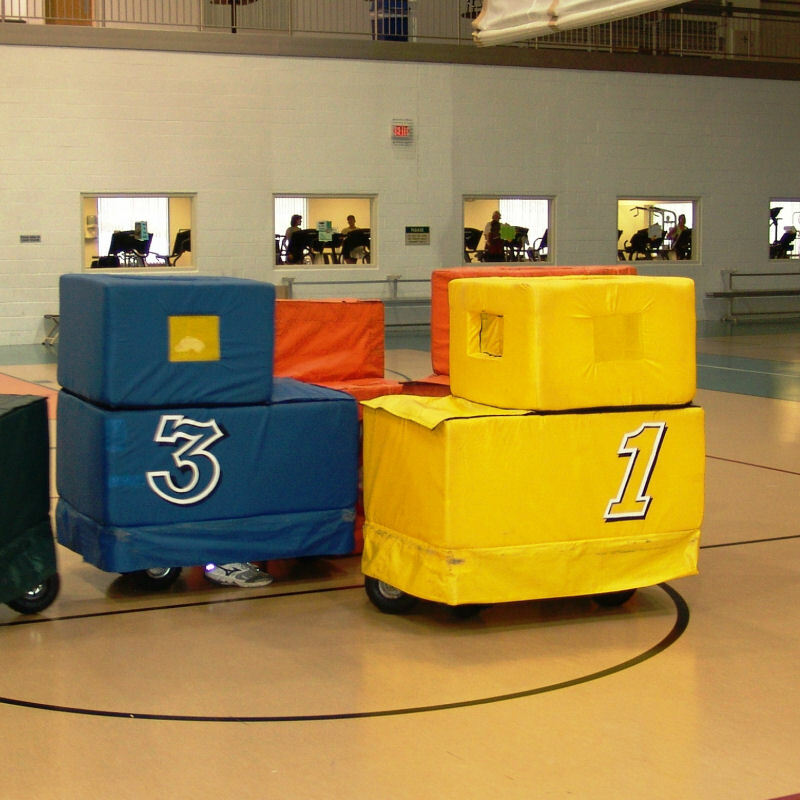 Guests can either race along a straightaway or bounce into each other in classic bumper car fashion. A 30’x 30′ space is required.